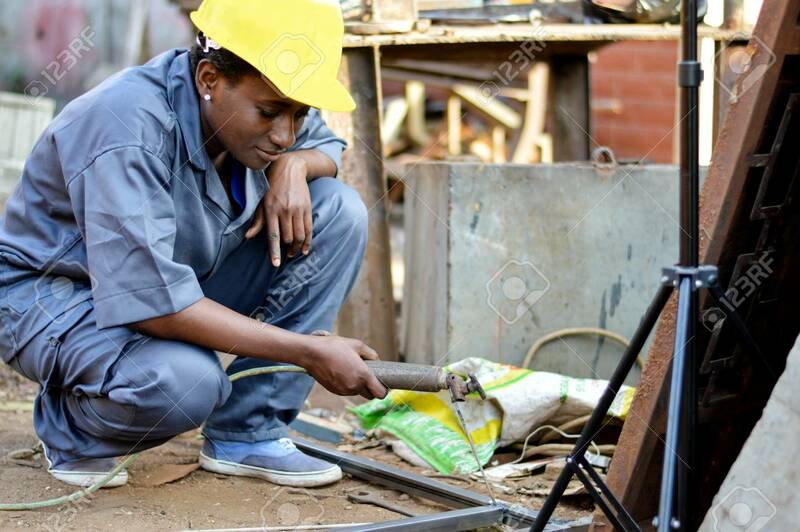 Young Woman Soldering To Make An Iron Door. Banque D'Images Et Photos Libres De Droits. Image 111828840.